iPhone 6S is definitely great, but only a nifty tool for making phone calls and texting others without any apps installed. If the apps for iPhone 7 (Plus) are available without putting a dent in your wallet, why refuse to spice up your new device? Isn't it wonderful to watch 4K movies on iPhone 7/Plus super sharp display? Below I gathered some top best free apps for iPhone 7/Plus that surely deserve a spot on your device for you to check out. Believe me, you'll love them! There are a vast array of free music apps for iPhone 7/Plus or movie apps, but none of them can complete with MacX YouTube Downloader. A YouTube downloader? Yes and no. In fact, it allows you to free download music to iPhone X/8/7 in MP3, or download movies to iPhone X/8/7/7 Plus in MP4, AVI, MOV, FLV, MKV, etc. from over 300 sites, such as SoundCloud, YouTube, FB, Instagram etc. Unlike other self-titled best free apps for iPhone 7 in 720P, 1080P, 4K UHD video download, it is clean and easy to use, no virus, no annoying ads, no spam, no register required. To free download music movies for iPhone X/8/7/7+, just copy and paste video URL, and click download button. You can choose to automatically add MP4 videos to iTunes and transfer video to iPhone X/8/7. Pokemon Go has been enjoying a great popularity of worldwide in the past few months. 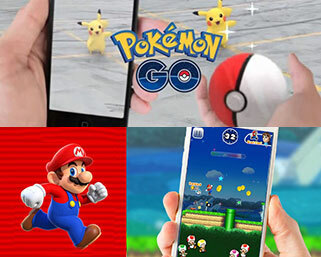 If you are seeking for the best free game app for iPhone 7/7 Plus/6s, Pokemon cannot be missed. You are able to download and install Pokemon app on iPhone based iOS 10/9.3.5 freely to embrace the charm of catching pokemons. By the way, according to 2016 Apple event, Pokemon Go will be available on Apple Watch Series 2 as well. Super Mario. As one of the most classic games, Super Mario will finally debut on iOS, the latest 2016 Apple event announced. That is to say, you are able to download Super Mario app on iPhone 7/Plus running on iOS 10/9.3.5/8 and play between friends or players around the world with internet. Now you can free download several free music apps on iPhone 7, not only the built-in Apple Music thanks to one of the biggest iPhone 7 pros - much larger internal storage space (32GB, 128GB and 256GB). 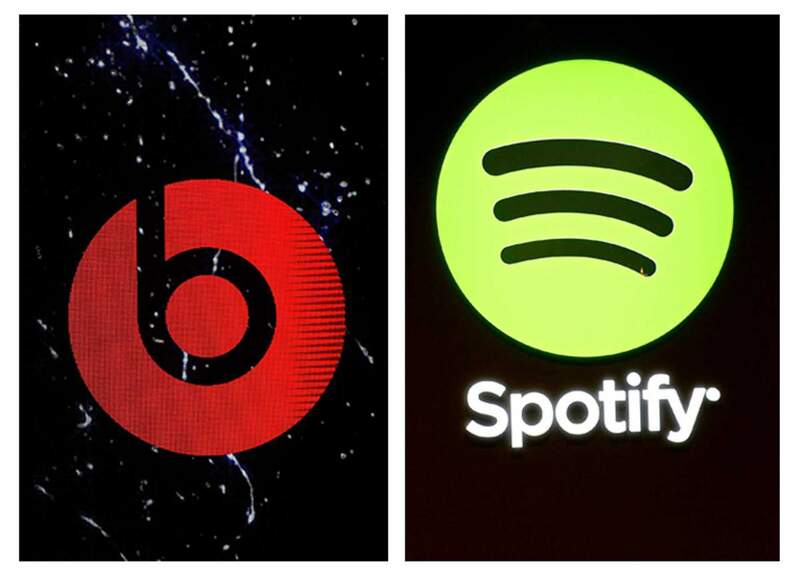 Yes, it's nice choice to free download Spotify, Pandora, Beats Music and more for iPhone 7. Spotify seems better for its richer songs resources, and it allows users to create a custom playlist, pick songs, and even download Spotify music on iPhone 7/6S as a premium member. Although Sportify might not be perfect enough as the best free app for iOS 10 iPhone 7 (Plus), it enables you to enjoy the latest music on iPhone 7 indeed. Beats Music is also a great free iOS 11 app, following Spotify. Highlights giving you deeper dive into your favorite artist and genres, 20 million songs, music sharing, etc. are all quite impressive. Log in and you have 14 days free trial. It works fine in free downloading music movies to iPhone 7. You can download movies of MP4, MOV, M4V, 3GP, MPEG format in 720P, 1080P, from YouTube, Dailymotion, Vevo and more to iPhone 6S without spending a penny. It is simple to use, also you can play downloaded movies on iPhone 7/6S directly from the app. With this app, you can download videos and movies onto iPhone directly without syncing the downloads from computer. Make sure that you have strong WiFi connection if you want to download movies to your devices with this free movie app for iPhone X/8/7. Compared with the best free app for iPhone 7, MacX YouTube Downloader, this free movie app for iPhone 7, though also combines free music app for iPhone 7 into one, but is a hit and miss in movies download for iPhone 7, slow in loading, and loaded with pesky ads. Plus, flash player is needed. Enough Space for Free Movie Video Music Apps Download on iPhone 7/Plus iOS 10? My dear, if your iPhone 7/Plus has enough space available for you to free download top free movie apps, video apps and music apps? If not, you're suggested to clean and free up your iPhone 7 space first. To clean up iOS 10 iPhone 7, you need an assistant. The best-selling product from MacXDVD called MacX MediaTrans can be your friend. Without any third-party or plug-in, you are allowed to use it to backup & transfer movies, music and photos in 1080p, 4K Ultra HD from iPhone 7/Plus to computer Mac/Windows 10 in batch in seconds (Intel QSV/Nvidia/AMD supported) so that you can delete the currently unnecessary media files from iPhone 7 and dramatically clean up iPhone 7 space for those top free apps downloads on iPhone 7/Plus. The free weather app for iOS 10 iPhone 7/Plus is more accurate for its verification on forecast. Detailed information, say, forecast for even hour, temperatures of any local area, the time of sun set, to name just a few. It is considerate to provide a list of index, like flu activity, pollen level, etc. But Wifi connection is needed to fasten radar view. The best free iPhone app is not ads free. Magellan RoadMate: features I especially like are that it brings you 3D buildings and real-time red light. Other features of this top free GPS app for iPhone 7/6S with iOS 10 like text to speech, lane assistance, real-time red light and local search are also favorable. Google Maps: 360 degree panoramas of places is amazing. Plus, this best free GPS App for iPhone 7/6S guides you to get you to destination with turn-by turn driving directions. If Magellan RoadMate is not your ideal GPS app, you might as well try Google Maps. Top free app for iOS 10 iPhone 7/6S to share enhanced photos to others easily. All for free.